Every year television producers and writers feel the need to acknowledge Christmas with a holiday themed episode. 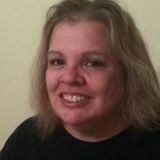 We have seen the best and worst of them and I’d like to share some of both with you. Doctor Who is the longest running sci-fi show on television. 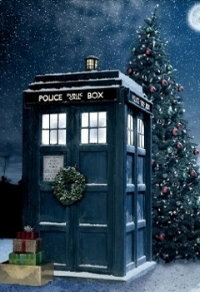 Unlike many shows in this genre, Doctor Who seems to make a habit of celebrating the season. Since 2005 when Doctor Who was reinvented for the 21st century there have been 8 Christmas Specials. 1. The Christmas Invasion (2005) This not only was a Christmas Special, it gave us the 10th Doctor in the person of David Tennant. 2. 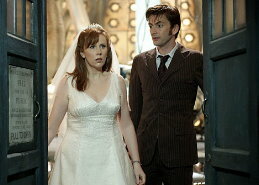 The Runaway Bride (2006) This was the introduction of Donna, a new and quite unexpected Companion for the Doctor. 4. 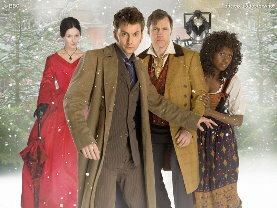 The Next Doctor (2008) The Doctor arrives in London on Christmas Eve 1851. Cybermen are on the loose. He meets another man who claims to be a Time Lord and goes by the name of The Doctor and because The tenth Doctor thinks this man may be a future incarnation of himself he is called The Next Doctor. 5. The End of Time (2009) This two part special marked the end of David Tennant’s reign as the 10th Doctor and a regeneration that brought us Matt Smith as the bowtied, fez and stetson wearing 11th incarnation of the Doctor. It was chock full of nostalgia and Apocalyptic action giving us a chance at seeing a regal Timothy Dalton and a host of Whovian actors from the past including Billie Piper and John Barrowman. 6. A Christmas Carol (2010) When Steven Moffat decided to visit the Dickens classic on Doctor Who he made sure to retain the most important theme which is the transformation of the heart of a miserable miser by transporting him to the past and revealing what is important in life. Crashing spaceliners and a world surrounded by an atmosphere filled with flying sharks and fish are just the window dressing. 7. 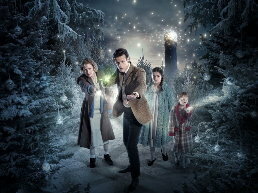 The Doctor, the Widow and the Wardrobe (2011) It is Christmas in 1938. All is not well on planet Earth and life is hard for the Arwell family in Great Britain. While the Doctor can’t fix all that is wrong on Earth he does make Christmas special for one family. All is clear, all is bright but there is evil afoot set on destroying not just Christmas cheer but all that makes life worth living. How do you defeat an enemy that is not exactly alive? Well of course you will need the Doctor but he can’t succeed this time without the help of the young woman who is about to become his new companion. Welcome Clara, the Impossible Girl, she is quite a puzzle. The Christmas special for 2013 was quite something as it not only celebrated 50 years of Doctor Who but marked the departure of another fan favorite, the 11th Doctor played by Matt Smith. With his departure comes the introduction of the 12th Doctor played by Peter Capaldi. 9. The Time of the Doctor (2013) Marked the 800th episode of Doctor Who. This featured the departure of the 11th Doctor played by Matt smith and the arrival of the 12th Doctor played by Peter Capaldi. We learn of what happens to the Doctor on Trenzalore, what becomes of the prophecy of the Silence and what life is like for the people that the Doctor defends in a town called Christmas.The Doctor adores humanity and the Christmas spirit embodies the very best in humanity. 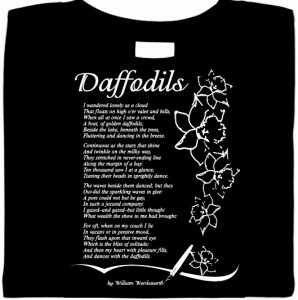 It makes for warm and wonder-filled story that brightens the season. 10. Last Christmas (2014) is the name of the tenth Doctor Who Christmas Special. The 12th Doctor now seems more comfortable in his latest incarnation and he is spending Christmas with Clara Oswald at the North Pole. Of course it wouldn’t be Doctor Who if there wasn’t a spot of trouble and if there is trouble at the North Pole on Christmas who are you going to call? Why Nick Frost as Santa Claus of course! 11. The Husbands of River Song (2015) Make no mistake. The title speaks of River Song, the Doctor’s wife, but this is a Doctor Who Christmas through and through. Can time be rewritten? Should it be? River may have enlisted the 12th Doctor to help her escape King Hydroflex and his giant robot but you can be sure there is something more to the story. Something heartwarming and heart breaking. P.S. The Ninth Doctor and Rose visited the Christmas Truce of 1914 but it was not an episode created as a Christmas Special. Its about wibbly wobbly timey whimey stuff about a mad man with a blue box that’s bigger on the inside and can travel anywhere in Time And Relative Dimensions In Space. He is a Lord of Time, has a nifty sonic screwdriver and wears trainers, leather jackets, bowties and fezes, scarfs , frock coats and even celery. He’s the Doctor.